Bait menu today dead reds, casters, F1 sweet dark groundbait and a mix of hard pellets. All-In I had decided that my match plan was to attack the pole line so I cast out the waggler that I'd clipped up and left it in the swim unbaited as a target for the four balls of groundbait. No loose offerings at all in the groundbait. 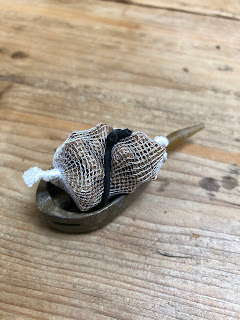 I picked up the rod to fish a PVA bag with and banded an 8mm pellet. I was planning on 30 minute casts at a time or until a bite. The first hour went by with no fish at all, so my third cast with the PVA bag I changed to a 6mm yellow dumbell which resulted in quite a savage bit after 20 minutes and the first bream was in the net. The next cast with the PVA bag I started to get some quite a few line bites. Had the bream settled on the groundbait that I'd balled in already? Well there was only one way to find out, so onto the waggler line. Double feeding casters, around 20 at a time and casting out, line sunk and the float buried with a decent bend on the rod and the second bream of the day. 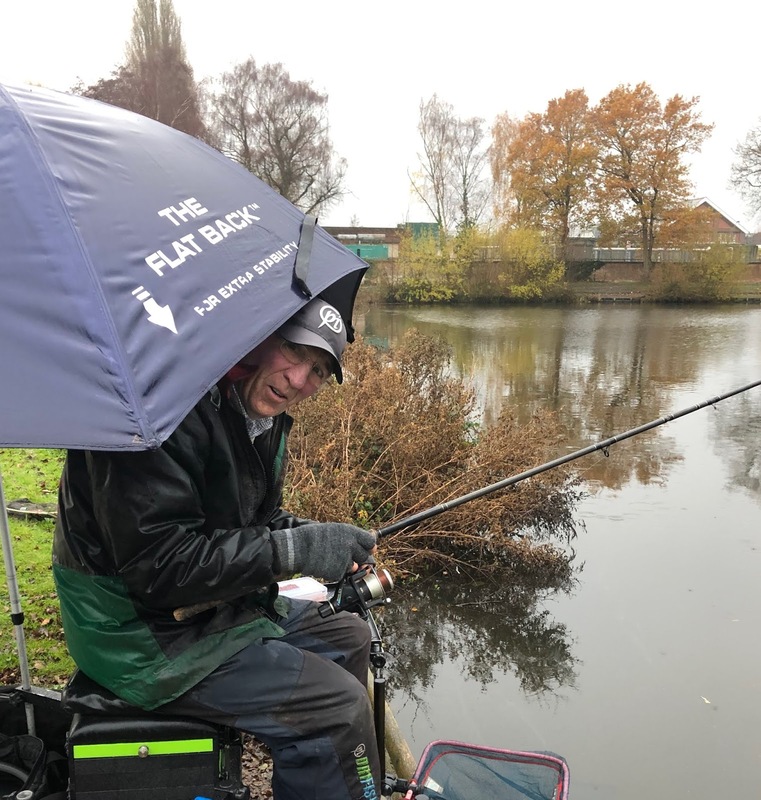 The next 90 minutes would be some of the most enjoyable I've had match fishing as it was clear that a shoal of bream had settled on the groundbait. The next six casts would net me six large bream. 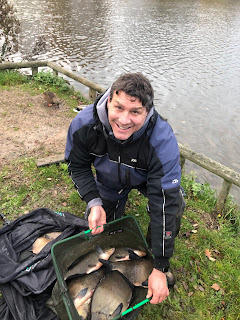 The bites were very clear lift bites especially using the new Drennan Visi Wag No2. 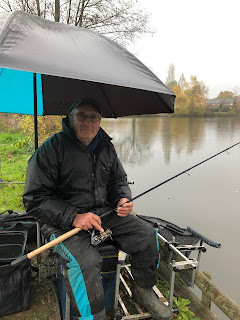 It was a case of double feeding, casting, sinking the line, letting the float settle and it would pop straight out of the water with a fish on. 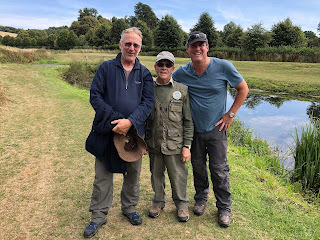 It certainly peaked the interest of Richard and Eddie in the next couple of swims who came over to watch the bites. 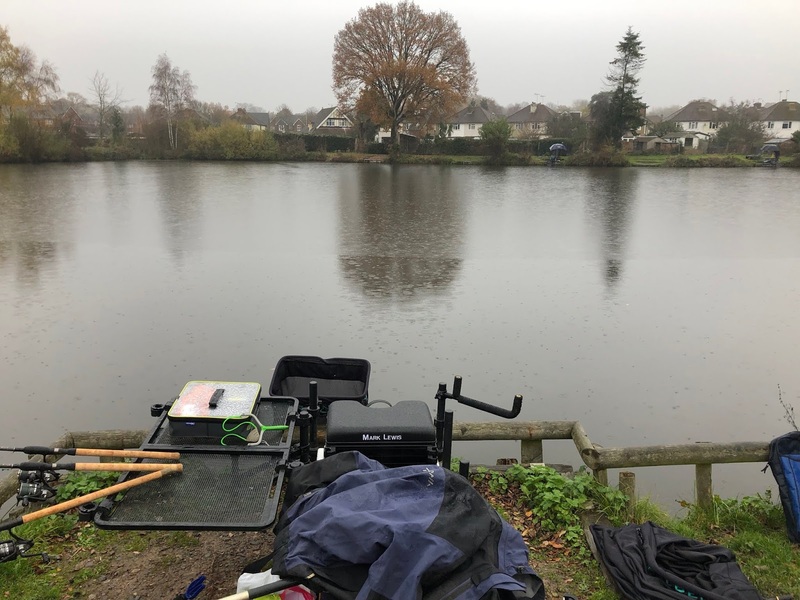 In order to ensure I could get through any small fish in the swim I was hooking 4 dead reds by their thin end on a Guru Kaizen size 20 to 0.11 hooklength. Why such a small hook? It was the only one I had to 0.11 line. After 90 minutes I had put a total 11 big bream in the net before they moved off. A quick cast with the feeder rod past the feed gave me another bream. 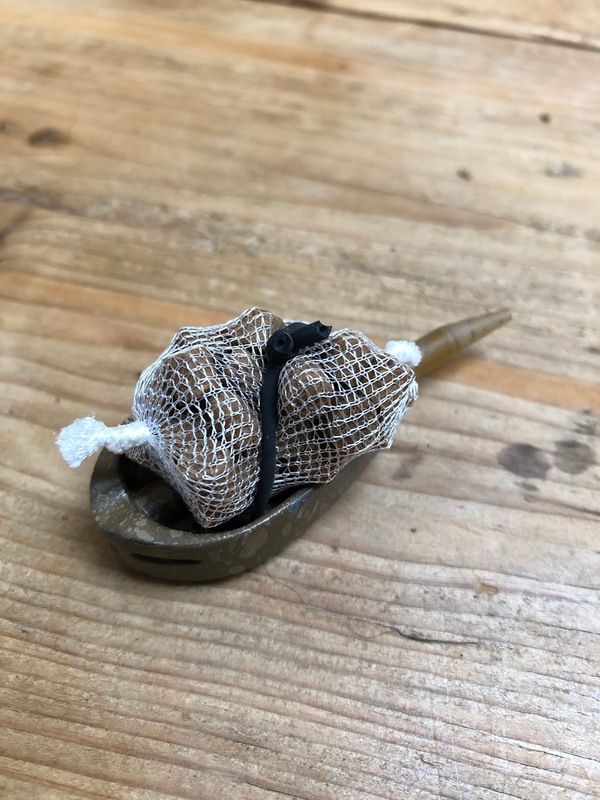 I decided to top up the swim and put in two more balls of groundbait and go back on the PVA bag method. No more fish followed and unfortunately the bream did not return which was evident by the small roach I was taking from the waggler line, despite hooking 4 maggots at a time! 38lb for the match win by 31lb! Chatting with the lads afterwards they had mentioned they had witnessed the balling in at the start of the match and all had thought that I'd killed the line before we had started. 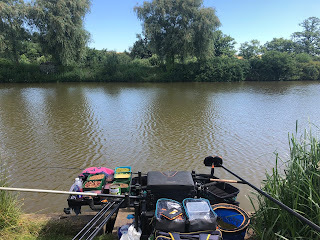 The key in my mind was no loose feed at all until I was preparing to go on the waggler line. I felt that a pole over their heads in such shallow water would not have helped the situation, thus the waggler choice. 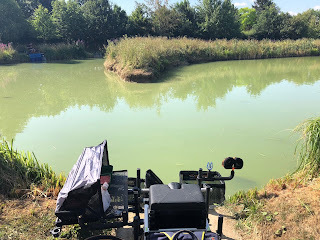 I have to say that the Drennan Visi Wags, especially the No2 with the extra long insert certainly helped seeing the lift bites. A great result, lets see if the balling trick works again like it did when I came down to practise in the summer time. No matches for a couple of weeks, time to dry the gear out and get ready for the Christmas match at Gold Valley.